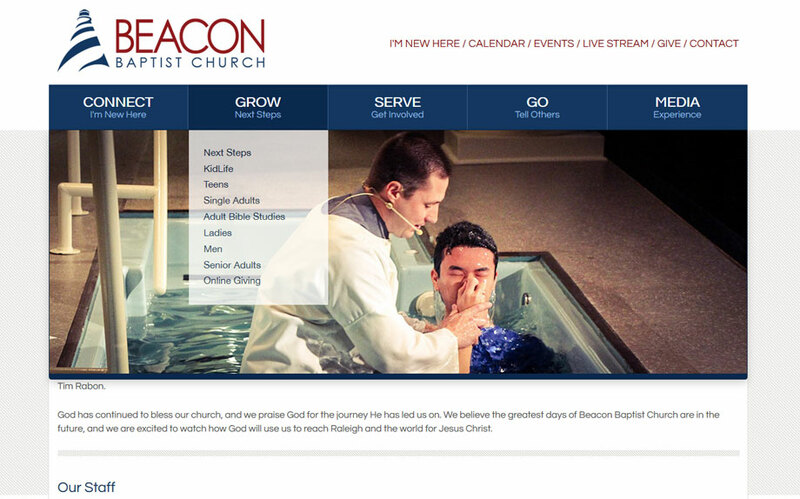 Following Beacon’s brand update, the new look was applied in the creation of a responsive website with integration for ministry calendars, ministry media and giving. Beacon’s staff is able to easily update and maintain the site, giving them full, real-time control of content publishing and media to connect with and serve their community and members. 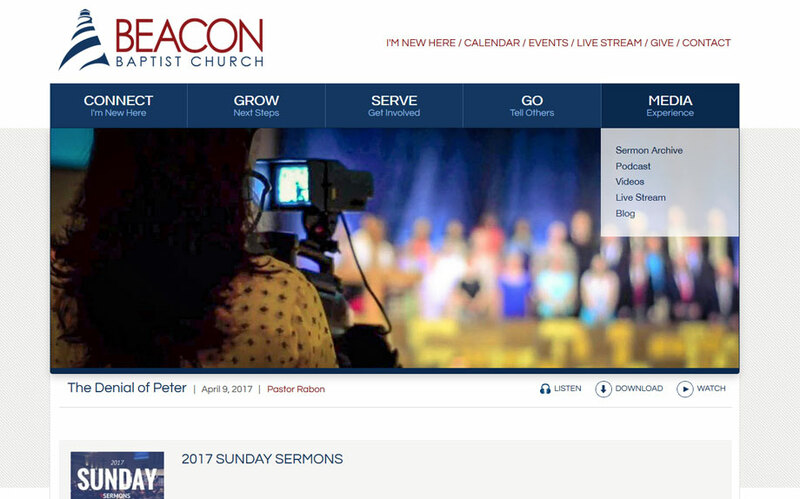 The project integrations allow ministry media, calendar, giving and more to be fully managed by Beacon’s staff and easily accessible by visitors to their website. Beacon’s ministry teams are focused on growth. 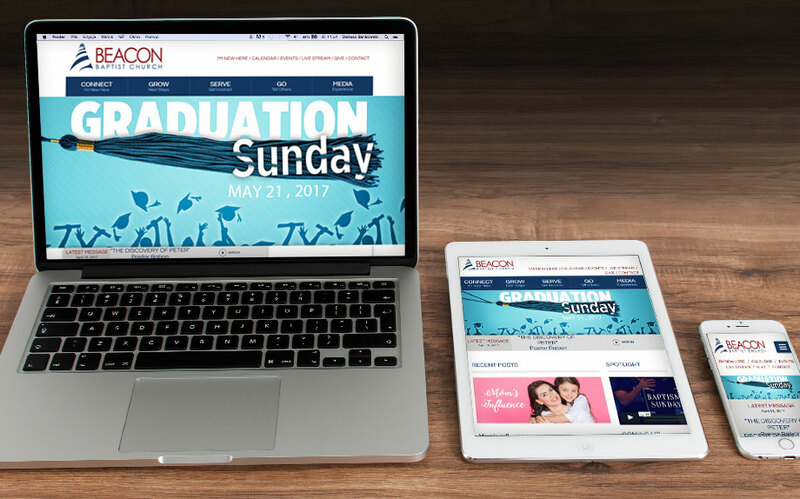 Their new website can grow with the ministry, adapting to new content, interaction and functional requirements as the needs of the church grow.